During the American Civil War, the Confederate and Union armies used rifles and muskets as one of their primary weapons for battle. At times, however, close quarters forced the two armies to resort to fighting with Civil War swords and Civil War sabers. We have both functional and decorative Civil War blades for re-enactors, stage performances, and collectors to enjoy. These Civil War replica swords are made of high quality materials and feature authentic detailing, modeled on the actual historical swords used during the American Civil War from 1860 to 1865. These re-enactment swords and period sabers are great for Civil War buffs and collectors to put on display when they are not in use. Our Confederate swords and Union swords include striking military blades like cavalry sabers, the Patton sword, the Trooper sword, and various officer swords. Perfect for military enthusiasts, the 1840 NCO Sword displays the style still used today for honor guards and presentations. 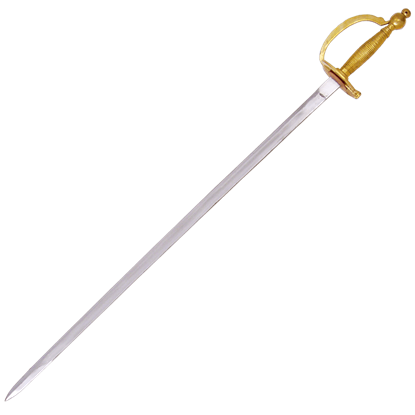 This type of sword has been carried by sergeants and other non-commissioned officers since the Civil War. The single edged blade has a single broad fuller running from the ricasso to near the point. The entire hilt is cast brass and the grip is ribbed. The pommel is global with a capstan. The grip is flanked by kidney-shaped hand guards. 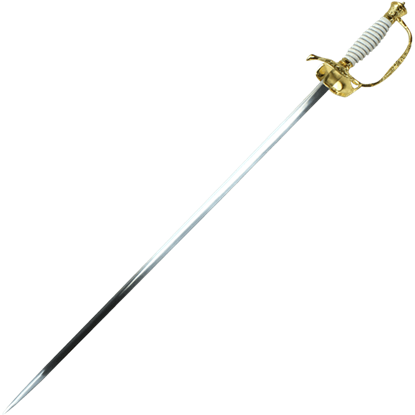 Nicknamed Old Wristbreaker due to its heavy blade, the Model 1840 Cavalry Saber as US Army sword based on the 1822 French hussar sabre. 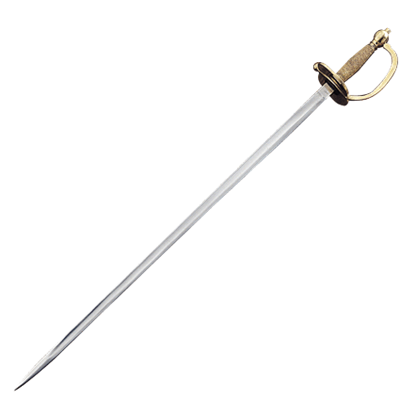 This 1840 Wood Handle Cavalry Trooper Sword is inspired by that traditional military sword. This fine reproduction saber is a faithful copy of ones used. The hand forged blade is British military spec steel that will flex over 20 inches and return to true. The leather handle is wire wrapped for an authentic look and feel. 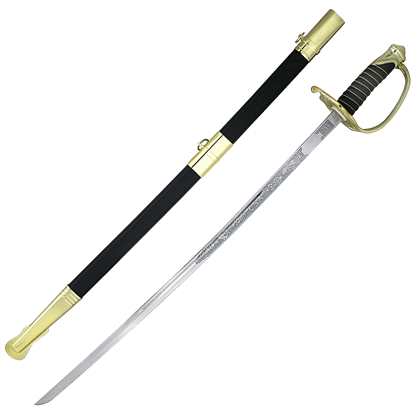 This 1860 Black Handle Cavalry Saber is based on the Model 1860 Light Cavalry Saber. First used on both sides of the American Civil War, there were three different versions made, for officers, enlisted men, and ceremonial use. By the time the United States was embroiled in its own civil war, the saber was nearly an outmoded weapon. Firearms were overtaking melee weapons, but the saber was still an officers weapon, as shown by the C.S.A. Officer Saber. The Civil War Confederate N.C.O. 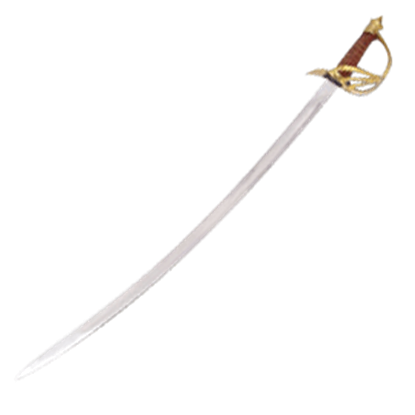 Sword was made by several sword-making companies in the South during the course of the war. The design generally followed the official Union pattern of 1840, which in turn was based on a French design. The U.S. 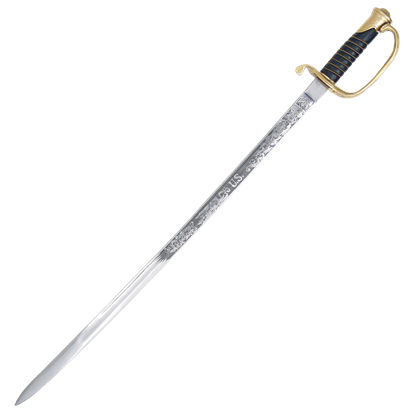 Foot Officer sword features an elaborately etched carbon steel blade, including the U.S. insignia. The leather grip is spiral wire bound and foliate designs are cast into the hand guard. 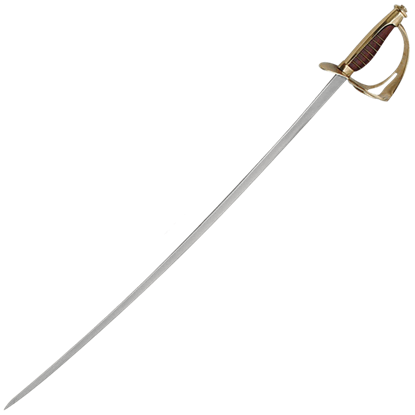 The steel scabbard has brass fittings. Let the Civil War Officer Sword take you back to pivotal moments in American history. 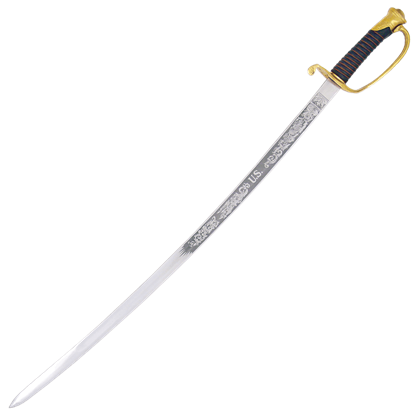 This stainless steel display sword is modeled after antique weaponry and showcases a certain sense of elegance in its ornate, golden colored hilt. 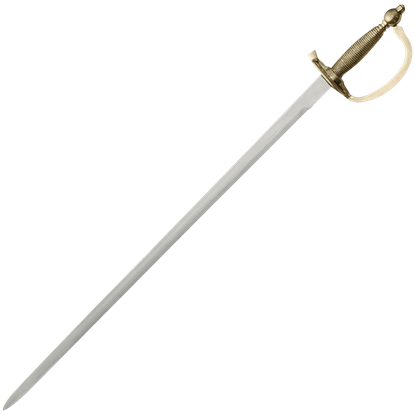 The Civil War Trooper Sword (SNA17) is typical of swords issued to troops on both sides of the conflict. This economy sword features a fullered carbon steel blade, wooden grip with a spiral wire wrap, and a steel scabbard. 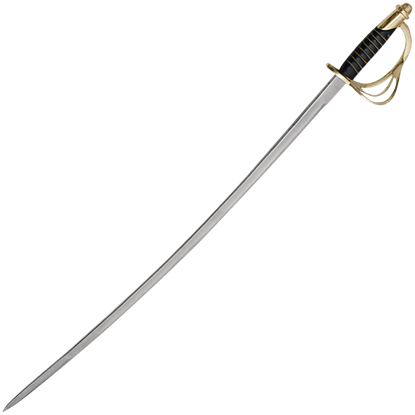 The U.S. 1860 Cavalry Sabre (SNA2), the standard issue for Union cavalry, has a fullered blade, leather spiral bound grip and a steel scabbard. This replica blade is an excellent value weapon for collectors to enjoy. The U.S. 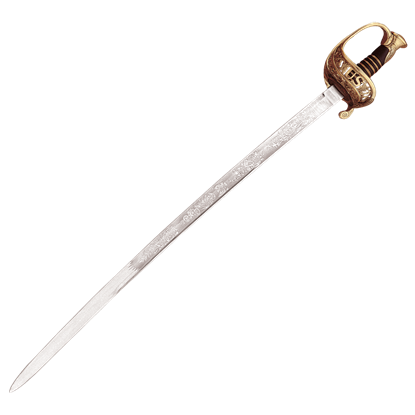 Foot Officers Sword (SNA18) features an elaborately etched carbon steel blade, including the U.S. insignia. The leather grip is spiral wire bound and foliate designs are cast into the handguard. Received the bamboo Kendo sword today. It's perfect, just what i needed and excellent quality. Your service and delivery was very fast, you guy's are great. Thank You! Sign Up for the Dark Knight Armoury mailing list to receive discounts, exclusive offers, and breaking news. Copyright © 2019 Dark Knight Armoury. All rights reserved.